Our complimentary gift to you! How well do you know these foundational truths for living? 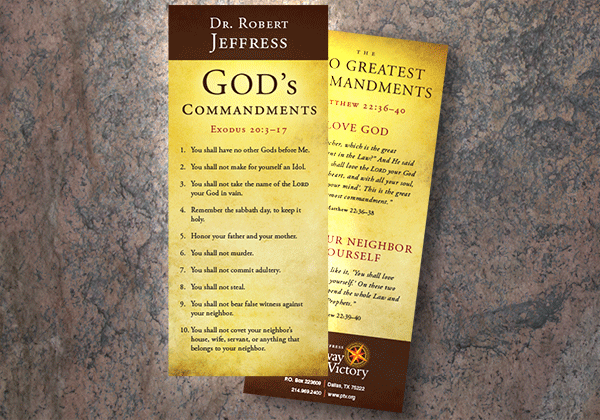 The beautiful “Ten Commandments Card” is perfect to display on your refrigerator for your family to commit to memory this fall — or to share with someone you love, to remind them of God’s rules for living. Serves as a bookmark or an easy reference card you can tuck into your Bible to help you hide and apply God’s Word in your heart! Fill out the form below to request your free brochure now!